Hello again people! Hope this day finds all right in your world. If not, wait, the day will change into tomorrow soon enough. The day has warmed up here to above freezing! Yea!! But….. Well you know there seems to always be a but……. But the wind is vicious! It is at least 35mph with gusts up to 50. By Saturday we will have a melt as it is supposed to get to 40F (4C). 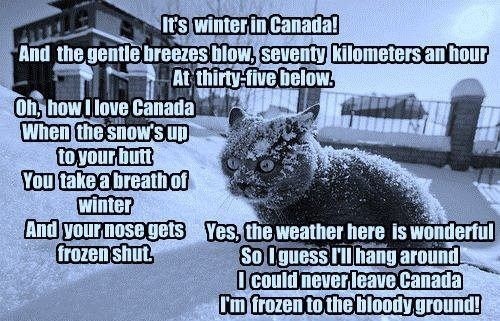 That’s one thing about where I live in Southern Alberta, we have Chinooks a lot. But enough about me. National Poinsettia Day ~~ I love Poinsettia’s, they are always so cheerful in the winter dreary days. Today is the day we celebrate this wonderful Mexican flower. National Poinsettia Day honors Joel Roberts Poinsett, the first U.S. Ambassador to Mexico who is credited for introducing the “Flor de Noche Buena” or the Christmas Eve flower to the U.S. in 1825. By 1936, this plant became more widely known as the Poinsettia. This is a day to enjoy this beautiful plant that is so popular for the holidays. Celebrate this holiday by buying a beautiful Poinsettia in your favorite color. The red Poinsettia is the most common choice, but this beautiful plant comes in a wide array of other colors like pink, white, marbled, speckled, and yellow. The date chosen for National Poinsettia Day recognizes Joel Roberts Poinsett who died on December 12th, 1851 for his contribution to the popularization of the Poinsettia in the U.S. Gingerbread House Day ~~ Now what better month to celebrate Gingerbread houses. I love to look at them, but can’t eat them. Not because they are beautiful and whimsy. I’m a diabetic, so all I can do is admire. Darn it! Gingerbread is a sweet, soft, cake-like aromatic biscuit associated with the festivities of Christmas. The gingerbread house is made of gingerbread which is typically made of flour, brown sugar, butter and dried or ground ginger. Before actually constructing the gingerbread house, the gingerbread is baked on large baking sheets. Then, with the help of cardboard cutouts and detailed instructions, the house is assembled with the icing as glue. Finally colorful candy is used to decorate the house. The legend of the Gingerbread house has origins in the story of Hansel and Gretel. That’s why many children like to build gingerbread houses for Gingerbread House day. According to an article online at Mail Online, there is a life-size Gingerbread house! How great is that? 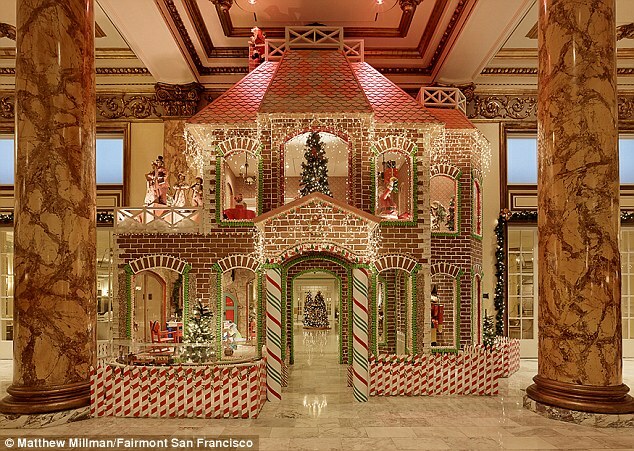 At the Fairmont in San Francisco they have a life-size gingerbread house. I am adding one picture from the article, you really must go and read it and look at the fantastic pictures. It is fabulous! Go now, I’ll wait. National Ding-A-Ling Day ~~ A great time of the year to help those stressed over the holidays to find a day to release all the built up tension from Thanksgiving with the family. It will make Christmas with them a lot easier. No one really knows when or who thought up this holiday but some think it comes from Chuck Berry’s song “My Ding-a-Ling”. When it first came out radio stations had their doubts about playing the song and reserved it for playing late at night or not at all. Even though it made it to the top 14 on the charts it was still censored by many stations. Did you all know that the song is really referring to a couple of jingle bells his grandmother gave him on a string? He wore it around his neck and they helped him through tense times. That’s what I found after lots of digging, whether it’s true or not I don’t know. Either way today is the day to let loose and act silly! Go for it, I won’t tell. National Ambrosia Day ~~ Not to be confused with the food of the Greek gods in ancient mythology, modern-day ambrosia salad is a fluffy combination of marshmallow, coconut and various fruits. And that is what is celebrated today. Ambrosia, yum yum. Recipes for Ambrosia began to appear in American cookbooks in the late 1700s. So why not whip up a tasty version of your own? 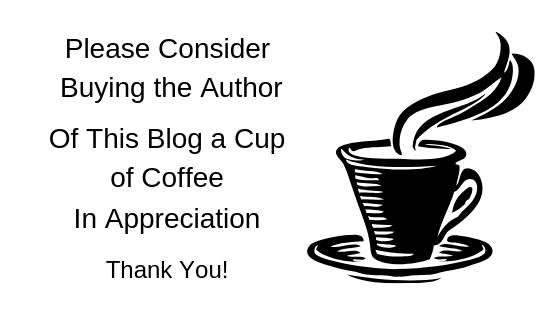 Here is a couple of links for some fine-looking and tasty Ambrosia. Ambrosia Salad by Alton Brown and Delectable Ambrosia Salad. Any day for a party is a good day! So party on! Well that’s it for today folks. Join me tomorrow for more celebrations! See you then. Source unknown– but so damn true! hahaha! Hi Jackie! It’s getting late, but I didn’t want to call it a night before checking with your daily days. Anyway! I like poinsettias, too. They are perfect Christmas flowers. Ambrosia … hmmmm. I know what it is, but I’ve always avoided it when I see it. Maybe it’s the texture that creeps me out.